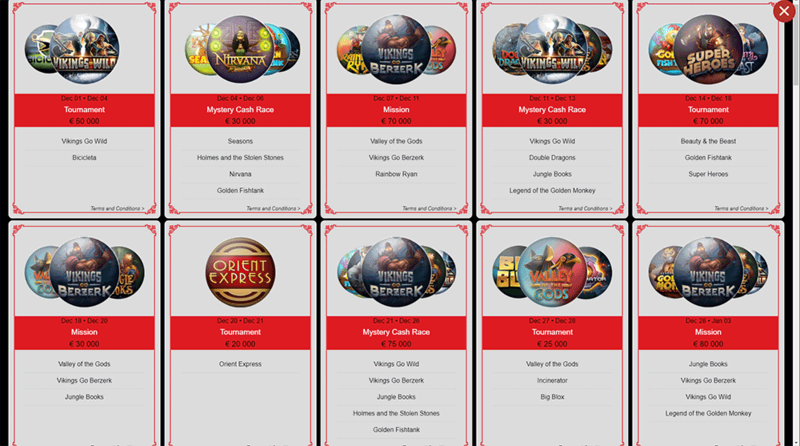 €500,000 in cash prizes up for grabs for playing Yggdrasil Slots during the Christmas Period! Yggdrasil Gaming has just launched a massive slot based promotion for the festive period with a whopping €500,000 in cash prizes to be won during the month of December. This is an operator run promotion so you must take into account that these slot tournaments will have players competing on them from different casinos that have Yggdrasil slots but there are plenty of prizes on offer not only for final leaderboard positions but random raffles for participating players too. Taking part in this promotion is incredibly simple, all of the rules, leaderboard positions and prize pools are on display inside the Yggdrasil slots so all you just need to know is the schedule of which slots to be playing on which days and at which casinos which is where we come in! Yggdrasil has launched a Special Christmas Calendar website which covers all of the dates you need to know as well as the specific slots that need to be played. Looking for even more Xmas related casino promotions? then make sure check out our Special Christmas Casino section covering all of the best festive promotions running at our recommended casinos. How to Join the Yggdrasil Slots Tournaments? Thankfully joining any of these slot tournaments is super easy, simply load up any of the valid slots on the dates listed above and then all of the tournament rules, schedule and prize pools are displayed and tracked from within the slot. 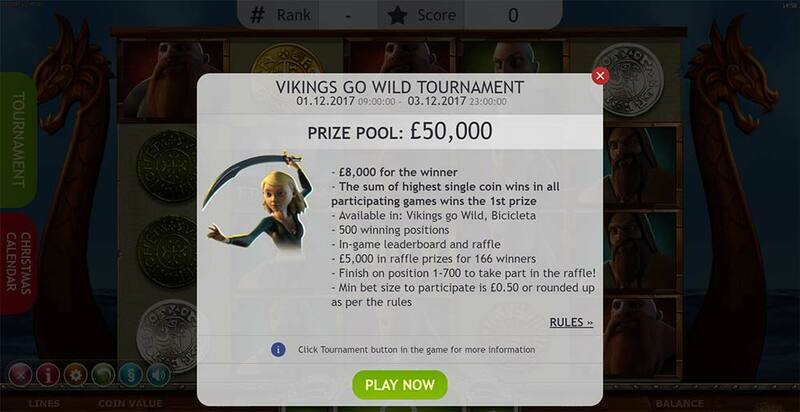 For example, loading up the Vikings Go Wild slot today (1st December) presents us with the following information about the tournament. You can then access further information on the left-hand side of the slot by clicking the Tournament and Christmas Calendar buttons. Where to play Yggdrasil Slots? In terms of which casino to play Yggdrasil slots at we recommend for UK players to use Videoslots Casino which has a full range of titles on offer with the tournaments running. For players not from the UK, whilst Videoslots is still a fantastic choice you may also want to check out Casino Heroes which runs a massive range of Yggdrasil Slots too.